How is Chicago’s startup scene measuring up to current investment trends? Chicago is the highest growing US entrepreneurial ecosystem in the world according to the 2015 Compass Report. The windy city is also the 5th largest and 11th fastest-growing tech market in the country according to a 2015 report from investment firm CBRE. Adding to that, Chicago is second place on the list of Top Cities for Fast-Growing Companies for the second year in a row with 104 private companies on the Inc. 5000. According to Dow Jones VentureSource, last year Chicago's local companies received $862 million. While it was a top year for Chicago, there is still catching up to do. The receipts elsewhere---New York $5.3 billion, Los Angeles $2.3 billion, Boston $4.1 billion and Seattle $1.2 billion---have quite the leg up on Chicago. What is the new frontier for continued growth? At Sente, we argue the answer is more international influence. We want Chicago to become the most welcoming place for international startups and talent to land and launch in the U.S. market. Investment trends cited by Inc. include reinventing the services economy, digital currencies, innovative hardware, the internet of things, crowdsourcing, and more. To us at Sente, the most compelling trend Inc. mentions is “going global”. Global companies and global markets are the future. Founders can no longer wait to consider international expansion. Local trailblazers abroad, like Rocket Internet, have shown they can quickly copy the best ideas. Clones of Zappos, EBay, and Square have been incubated by Rocket Internet throughout Europe. Venture firms and accelerator programs are looking to scale internationally to attract international talent to the U.S. and leverage global networks to scale U.S. companies worldwide. Techstars built a global network with 18 programs around the globe. This global presence has been critical in differentiating their accelerator from other programs. 500 Startups launched new multi-million dollar funds across Europe, Asia, Latin America, Middle East and North Africa hoping to connect and attract the best talent from around the globe. The Silicon Valley Competitiveness and Innovation Project 2015 report demonstrated an impressive 70% of Silicon Valley software developers are foreign born. According to a report by the Partnership for a New American Economy, 40% of Fortune 500 companies were founded by immigrants (90 companies) or by their children (an additional 114 companies). According to Forbes report of quarterly data from Gust, U.S. startups represented 4% less of the total share of the world’s high-growth startups than in the previous quarter. Still, U.S. startups account for a majority. Though, a significant portion of startups seeking funding were from emerging market economies. India, Canada, and France rank two, three and four. Germany and Estonia stayed in the Top 10, where Australia was knocked out of the Top 10 by Romania which jumped to the fifth spot. Sente brought 5 cohorts of top Turkish companies to 1871 in the last two years. Here are just some of the highlights of their influence. Sente’s alumni have raised over $9.9M in funding, generated over $54M in revenue, and are operating in 41 countries to create jobs and deliver solutions. Several have since opened their US offices and are creating opportunities here. From the third cohort, Boni became Apple’s indoor Maps vendor. They are about to complete product integration with a partner in Texas, as well as planning a pilot implementation for O’hare Airport and Merchandise Mart. In the January 2016 ITU GATE cohort, Monument, the first A.I. hardware solution that is a personal cloud for photos and videos, became an Amazon Exclusives partner at CES. Tech.co has them on the list to possibly be the top startup at CES. Technori asked them to pitch at their Winter Showcase, To top it off, their Kickstarter campaign received 5,029 backers raising more than $700,000 making Monument the second most funded project on Kickstarter's technology category from Chicago. Sente is based out of 1871 which is branding itself as a stopping place and hub for international technology companies, political leaders and talent. 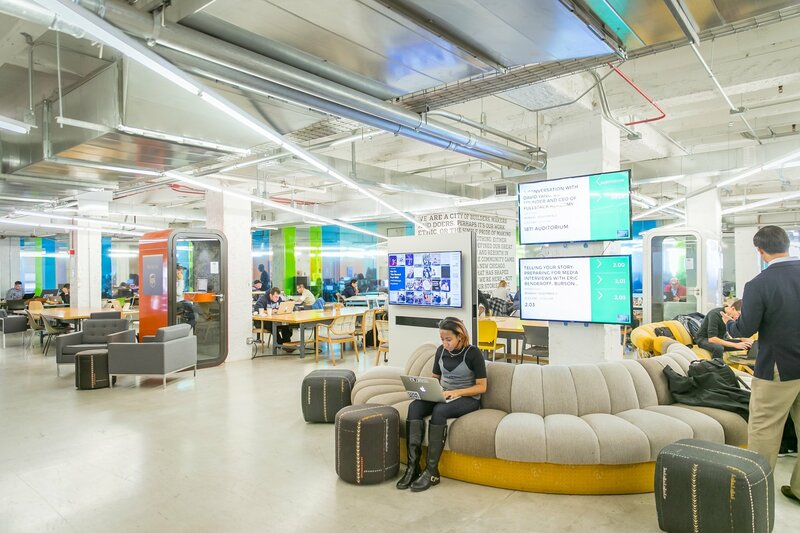 It has developed partnerships with co-working spaces in London, Tel Aviv and Mexico City. Sente aims to help, and Turkey is just the start. Sente will bring in more accelerators created in partnership with universities and institutions in additional emerging entrepreneurial ecosystems in top international markets. Sente just launched a new program in Finland called LandInChicago for new cohorts of Finnish startups. Each of Sente's programs are designed to bring new business from all around the world to the U.S. with 1871 Chicago as their launch pad. To learn more about what Sente Advisory is doing in Turkey and elsewhere in partnership with 1871, please feel free to reach out and contact Sente’s team at info@sente-advisory.com. 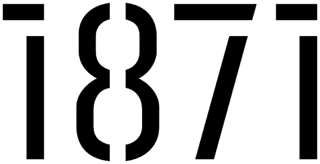 Stay tuned for more Sente led international activity and buzz coming to 1871 Chicago in the near future. Megan Colgan spent time in Istanbul, Turkey as an entrepreneur-in-residence at Startupbootcamp Istanbul, where she developed strategies in branding, growth hacking, UX, sponsorships and partnerships for startups. She conducted workshops and operations for the program and Demo Day.